Hey, you! Over here! 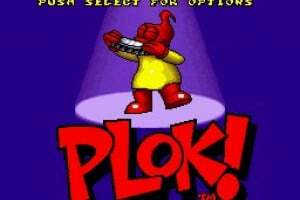 It's me, Plok! Waddya mean, you don't know who I am? 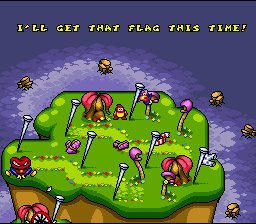 Here on the island of Akrillic, in the magical archipelago of Poly-Esta, my flags are all over the place. 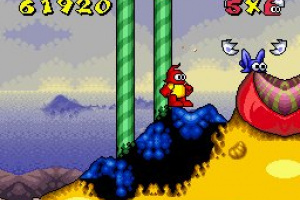 Here, they call me Top Banana, Head Honcho, Numero One, Big Cheese - you know, King! At least, some of them call me that. Would you believe there are still a few stubborn holdouts who refuse to recognize my supreme authority? 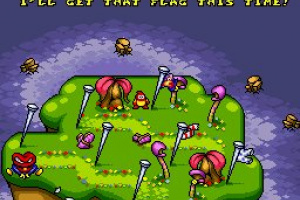 But now they've gone too far - they've stolen my favourite flag! I know what you're thinking: who would do such a despicable thing? I'll tell you who - the nastiest, foulest, most loathsome critters in all of Poly-Esta: Fleas! And I'll bet that rotten Flea Queen is behind it all! In fact, she's probably teamed up with the Shprouts, Rockyfella, Womack Spider, and every other troublemaker around here. Well, they're really in for it now. 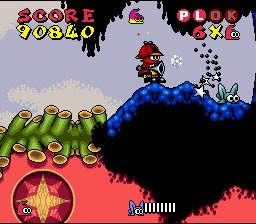 Besides my amazing, stupendous ability to fire my arms and legs at will, I've got my nifty jetpack, off-road truck, 'copter, and secret super-vehicle. 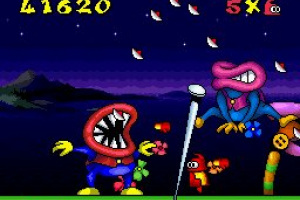 By golly, we'll show 'em who's boss! So c'mon, already - let's go get 'em! 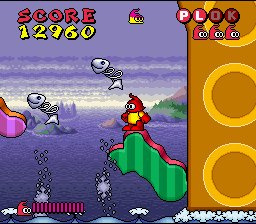 Ploktastic! I love this game. 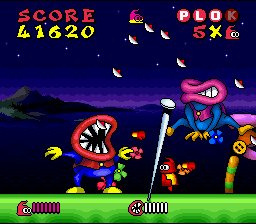 The soundtrack from the legendary Tim and Geoff Follin is awesome, the gameplay is great, and the dialogue is hilarious. 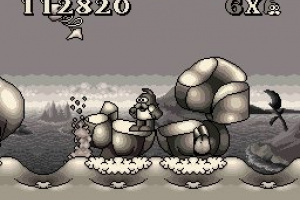 I find it more challenging than Super Ghouls'n Ghosts and Mr. Nutz (individually). 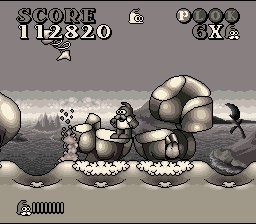 I absolutely love the monochromatic look of the Plok's Grandpappy stages. 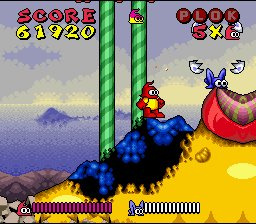 I still need to beat Normal mode. 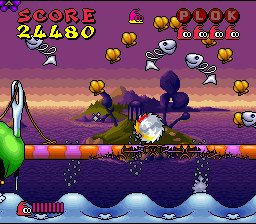 Such an obscure game, too, and it's a shame, really, as it's very fun. 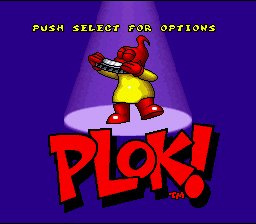 Plok's crouching animation is uniquely fantastic. 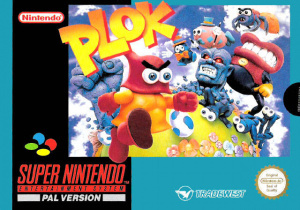 Plok was published by Tradewest in America, Nintendo in Europe, and Activision in Japan; but was developed by Software Creations. Yay, another of my review requests have been accepted! Boo, the screenshots are in JPEG format. 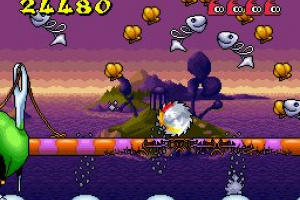 09/19/10 EDIT: Oh, my gosh, you've uploaded the game's banner! 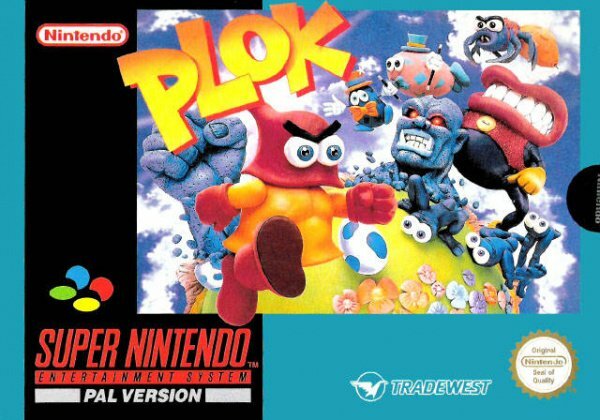 Please review Plok, for it is absolutely incredible. Follin Brothers music FTW! The music for this game is great. 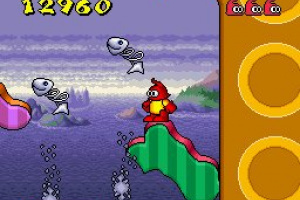 It's a pretty solid platformer, too. I hope it ends up on the VC sooner or later. Did I forgot to mention that the dialogue is very humorous? "This has gone beyond a joke!" "Ha! I showed them fleas who's boss!"